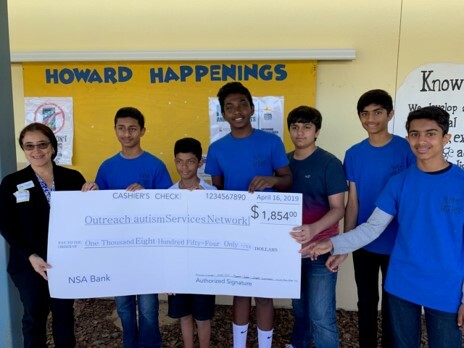 Outreach autism Services Network, Inc. (OaSN) is a non-profit organization founded May 12, 2011 providing autism services to individuals, families and caregivers residing in the state of FL. All low cost/no cost programs and services are offered in Ocala, FL for children & adults on the spectrum, their families and caregivers that have a current intake form on file (on/after 8/1/18). If you are out of state (NO out of country intakes are allowed), generally our programs & services will not be helpful to you unless you are interested in OaSN HEALS (Healing Educational Autism Library & Seminars). If so, please contact our office first to see if filling out an intake form will be beneficial to you. OaSN collaborates with doctors, therapists, schools, etc. to provide valuable resources, services and support for the individuals and families we serve. OaSN provides the best outcomes™ by offering education, programs, services, referrals, support meetings and events. 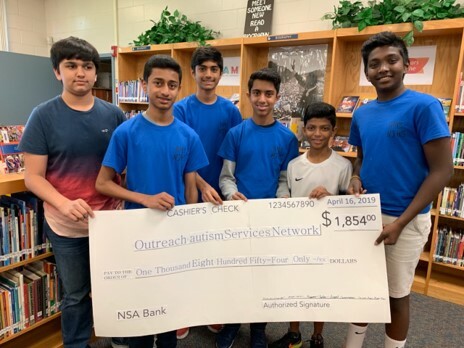 OaSN relies on the generosity of the community and grants to help fund our autism programs/services. 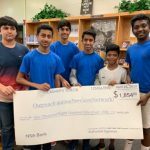 Tax deductible donations are always appreciated! With community support, our plan is to obtain a larger facility with a commercial kitchen, outdoor space for an organic farm, and expanded recreational space. Expanded space (interior/exterior) and a commercial kitchen will allow us to provide meaningful programs that offer purpose for adults with autism and expand current programs/services for children with autism. We have been down the autism road, so we've paved it for you. OaSN office hours are 9am-3pm M-F Eastern Time (closed for holidays and most school breaks). We look forward to assisting you soon. OaSN was co founded in 2011 by an autism parent solely to offer one service; a monthly support meeting. Our original name was Ocala Autism Support Network to reflect our one service. Over the next year (2011-2012), families wanted more services so OaSN became a non-profit agency. Due to the change in what we offer to the community; in 2014, we changed our name too! We now outreach to all individuals on the spectrum for autism, their families and/or caregivers in Marion and surrounding counties. OaSN is not directly funded by any state agency; we rely on the generosity of the community and grants to help us help others. 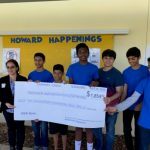 Tax deductible donations are always appreciated! -A seminar that provides a core understanding of Applied Behavioral Analysis & ways that it can assist your child with autism (up to age 19) with behavioral management, life & social skills. Childcare for all children in your family is provided for this required seminar to participate in this program. -Once you have determined that you are in interested in obtaining applied behavioral analysis (ABA) for your child, you will be assisted in completing paperwork to one or more ABA companies (depending on your insurance provider) with the assistance of Outreach autism Services Network staff (OaSN) and/or volunteers. -You will be required to fill out additional paperwork to provide to an applied behavioral analyst or an assistant applied behavioral analyst to assist with creating a basic behavioral plan to assist parents, caregivers and teachers to aid the child with autism until ABA therapy is approved by your public, private or commercial insurance plan. -OaSN will provide assistance through support meetings, information about other services that are offered, & referrals to other therapies or services as needed. Please note, there is no charge to participate in this program, however, you will need to provide requested information including family income to be considered. This program is NOT income dependent, it is dependent on the need of the child you are requesting to participate in this program. OaSN is required to collect this information to receive grant funding. This information also assists us in getting more funding. Thank you. Additional note, this information is confidential & will only be shared as data without identifying names, addresses, etc. 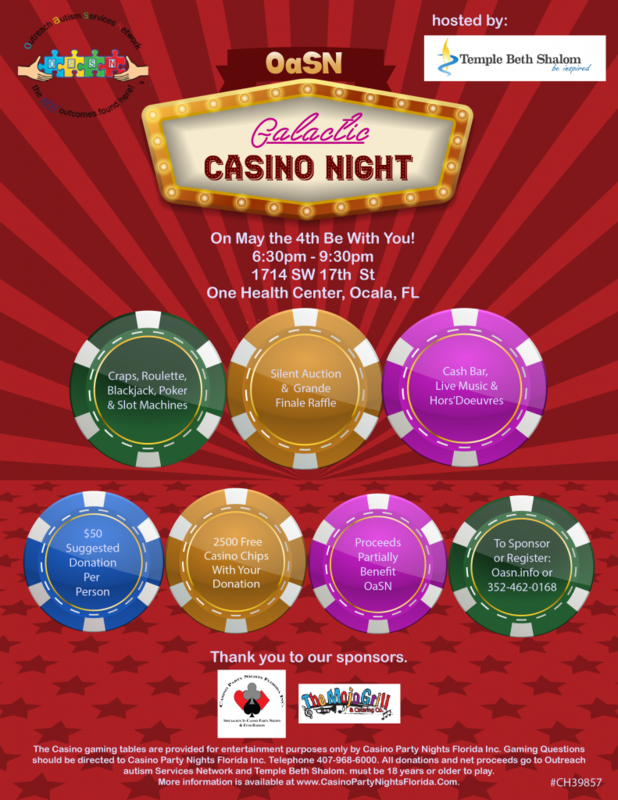 This event will feature a full casino with Craps, Roulette, Blackjack, Poker and Slot Machines, silent auction and grand finale raffle, cash bar, live music and hors d’oeuvres. Each registrant will receive one free drink ticket and 2,500 free casino chips with ticket donation. Outreach autism Services Network is pleased to offer our 6th Annual Summer Program funded by generous donations from the community. The STEAM Summer Program will be filled with fun, hands-on activities. Participants will learn about robotics (including programming robots, flying drones, and launching rockets. 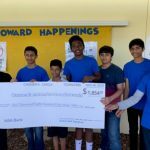 Participants will engage in interactive science experiments, such as making catapults, designing a maze, cooking in a solar oven or building rockets. Participants will also enjoy lots of creative and messy art projects. To wrap up each week of our amazing summer program, we will celebrate with Fun Friday with lots of fun activities! Some of these activities will include water balloon fights, tie dying, kites, water day games, pizza, popsicles and so much more! Our intake form is available to complete and submit online! Please take a moment and click the button below and fully complete the intake form. You must have an intake form on file to be eligible for the programs and services that OaSN offers. Should you have any questions please contact us. Submit your Intake Form Today! Autism spectrum disorder is a developmental disability that can cause significant social, communication and behavioral challenges. Individuals with autism process information differently than those not on the spectrum for autism. How many individuals are diagnosed with autism? The U.S Department of Health and Human Services and CDC 2016 statistics show that 1 in 36 children (8-12 years of age) have autism. 1 in 28 boys (3-17 years of age) have autism. More than 6% of our children have a developmental disability (1 in 16). More than 8% of our boys have a developmental disability (1 in 12). Are there higher medical costs associated with autism? Individuals with an autism diagnosis have medical expenditures that exceeded those without an autism diagnosis by $4,110–$6,200 per year. On average, medical expenditures for individuals with an autism diagnosis were 4.1–6.2 times greater than for those without an autism diagnosis. Differences in median expenditures ranged from $2,240 to $3,360 per year with median expenditures 8.4–9.5 times greater. In 2005, the average annual medical costs for Medicaid-enrolled children with autism were $10,709 per child, which was about six times higher than costs for children without autism ($1,812). In addition to medical costs, intensive behavioral interventions for children with autism cost $40,000 to $60,000 per child per year. https://www.cdc.gov/nchs/data/databriefs/db291.pdf, please visit the CDC website for more information. 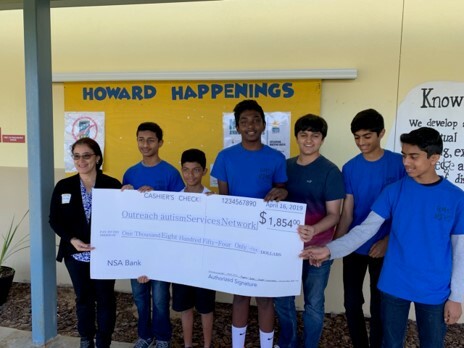 HUGE thanks to Howard Middle School and the Jr. National Honor Society for volunteering, choosing OaSN as their study project, and for their generous donation. Community support allows OaSN to offer low cost/no cost programs/services. We are so grateful! OaSN offers a Facebook "like" page for general information and news about autism. OaSN also posts information about the autism services we provide and other autism/special needs services that are being offered in our region. Be sure to support us by giving us a LIKE and following us. OaSN offers a private group forum on Facebook for private discussions online 24/7 reserved solely parents, caregivers and individuals with autism spectrum disorder (call our office if you have questions about the criteria to be added to this private forum). This is a very popular service that OaSN offers. The OaSN Best Outcomes™ private forum on Facebook requires that you have an intake form on file. Once you have filled out an intake form, OaSN staff will e mail you to give you the link to our page and will accept you to this forum. We hope you appreciate that we are protective of the privacy of this forum. Please feel free subscribe to the OaSN "like" page if you want general information about the programs and services we provide. We look forward to adding you to our private forum! The Ember911™ Child Safety Education Program is designed to teach children how to react in dangerous or life threatening situations. Ember is virtual Dalmatian who teaches fire safety along with other aspects of child safety in an interactive way with a host of animated characters. 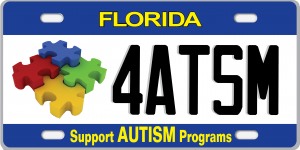 Support autism programs by purchasing your Florida autism license plate today! Highly recommended for anyone looking for assistance with children with autism. Also any adults with autism looking for help, this is the place to go. Highly skilled and knowledgeable people ready to assist you and many others as well. If you haven't been to a Support meeting on Wednesday, you must go. Handouts, up to date information and much more on a weekly basis. I am so thankful I was invited to attend this class. The amount of knowledge that Anne Marie had was mind blowing. I am looking forward to some positive changes in my son's life. Magnificent and amazing people!! Highly recommend this for anyone who needs assistance with their child for support in Autism! Super knowledgeable and very helpful! They have saved my life and my family’s!! A great organization. Absolutely amazing how much they do for kids with autism in our community. Thank you to all at the facility, and thank you to the donors who are able to help our kids. My son attended camp this week and absolutely enjoyed himself. He was able to learn and have fun. Outstanding organization and an answer to our prayers. An amazing community of people with expert knowledge, resources, and support! The most wonderful,caring,dedicated group of people you will ever meet. We are so appreciative for all the hard work and dedication. The community needs this service and we will do all we can to support you. Very informative! Helped me understand I wasn't alone!!! Keep up the outstanding work!